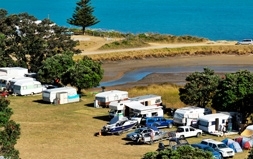 Otautu Bay Farm Camp is a spacious family camp beside a sandy beach and estuary on the Hauraki Gulf coastline of the Coromandel Peninsula. 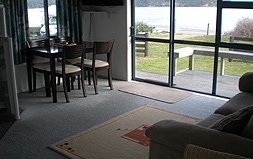 This fully self-contained unit with sea views will sleep up to 4 people. The bedroom has a double bed and a set of bunks (all linen provided). 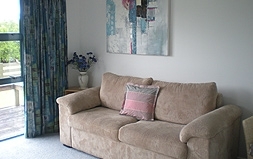 Kitchen/dinning/lounge with Freeview TV, bed settee and a bathroom. 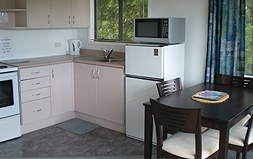 Tariff : $100.00-$115.00 per double per night, $20 per extra adult and $12 per child from 2 to 14yrs incl. 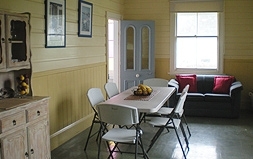 A historic farm homestead which caters for individuals through to big groups. Large fully equipped kitchen/dining area, BBQ provided (bring own gas bottle), bathroom, lounge with Kent fire and Freeview TV. There are 3 bedrooms in total, 2 have a double bed with single bunk above and set of bunks and the third bedroom has a queen size bed and set of bunks. The beds have bottom sheets, pillows and pillowcases (top bedding not provided). Tariff: Whole house $230-$250 per night for up to 11 people. Per room: $70-$80 per double, $20 per extra adult and $10 per child 2-14yrs incl. Pricing for larger groups and singles given on request. Power to the Site is an additional $8 Per Night Per Site. 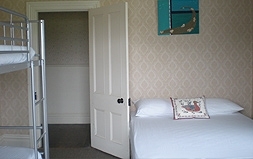 Tariff: $16 per adult, $8 per child 5-14 yrs incl per night, under 5yrs free of charge. Coin-operated hot showers, toilets, laundry, accessible facilities. Freezer space available for minimal daily charge. We accept EFTPOS, Master and Visa cards. We sell bait, ice and water. Cancellations up to 21 days prior to arrival, booking fees refundable less cancellation fee of $50 subject to Manager's discretion. No dogs allowed from 15th December through till 6th February (Waitangi weekend, Easter, Queens Birthday, Labour weekend and Anzac). At other times dogs may be allowed by prior arrangement and must have a current vaccination certificate. Other pets also welcome by prior arrangement. 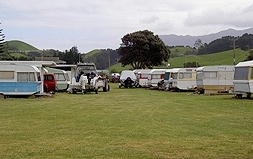 Pets are not allowed in the housed accommodation.